Isn’t it good for having professional qualifications as a blogger or as a digital marketer? When I found Shaw Academy courses, I was really happy because I can learn more about blogging and digital marketing in an organized manner. Previously I have followed few blogging courses and I learned the basics of blogging. Other than that I read a lot and I watch lot of videos about blogging and online marketing. So far I have more than 4 years’ experience as a full time blogger and online marketer, but I don’t have any professional qualification which can add value for my experience. Recently I enrolled with Diploma in Digital Marketing with Shaw Academy and I am really happy with what I learn. Although I am still in the mid of the course I thought of sharing my experience as this can be helpful for others too in order to learn the preferred subjects and earn professional qualification. 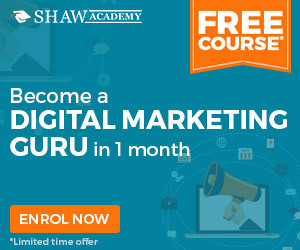 Shaw Academy is an online professional training provider which covers various subjects including Blogging, Digital Marketing, Business, Social Media, Nutrition and Photography. These courses include live lectures with interactive sessions which give classroom experience for the students. 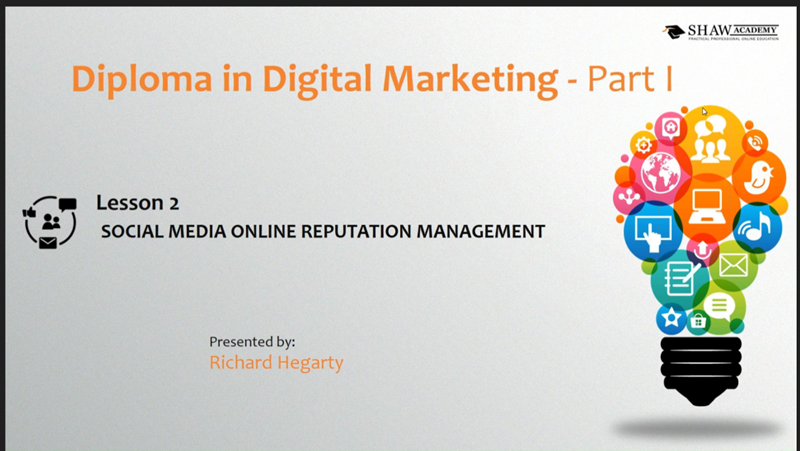 Although there are different courses available which can enhance the knowledge as a blogger or online marketer, I decided to enroll with Diploma in Digital Marketing. The joining process is really easy and once you join they will connect with you in sms and email reminders. I feel like I am actually in a classroom although it is a virtual class room. 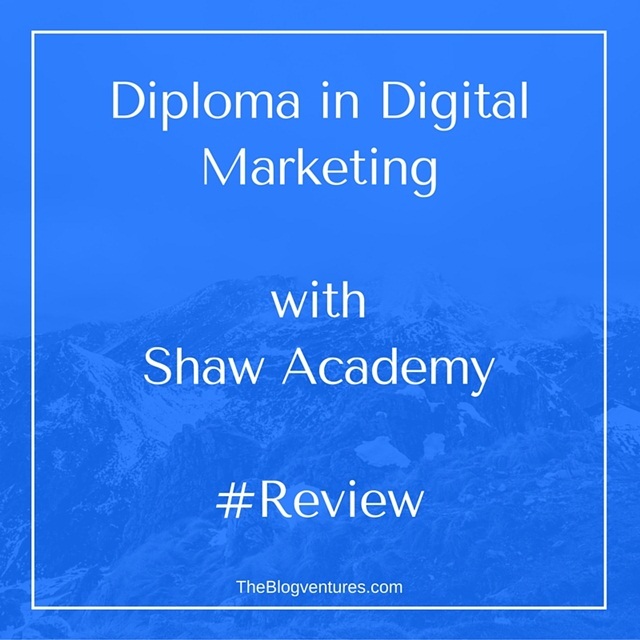 Here are some of my experiences about the Diploma in Digital Marketing by Shaw academy which I enrolled. The course includes 10 modules and each module needs 1 hour to cover. 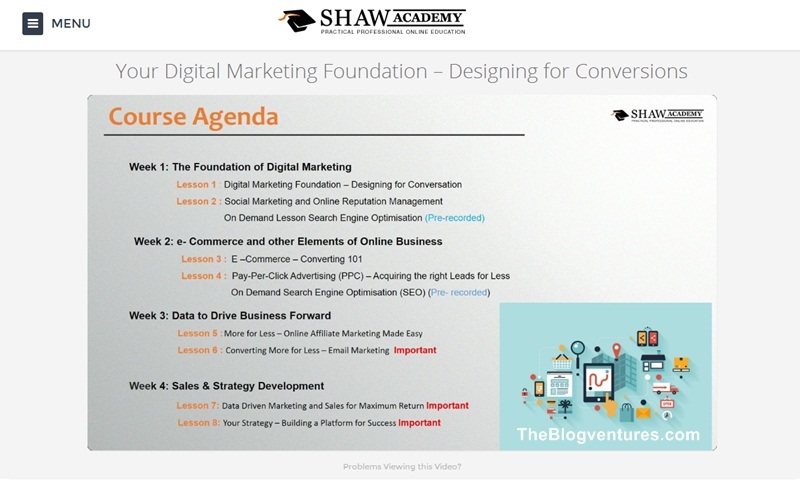 Complete Course covers topics including foundation for Digital Marketing, conversion, Social Media Marketing, Blogging, eCommerce, PPC,SEO and other topics such as email marketing which are important for any successful online marketer. Instead of following Diploma in Blogging & Content Marketing, I decided to enroll with Diploma in Digital Marketing specially as I want to learn about PPC and eCommerce which are new topics for me. My experience with this course is so far so good. The classroom is really interactive and the lecturer delivers his lessons in really attractive way. It is not a typical boring lesson. Instead,he delivers the live lesson during 1 hour and at the end of the session there is Q&A session which we can clarify any doubts. If you cannot attend the live lessons, you can always check the recorded lessons at any time. This is really helpful for me as sometimes I cannot join with live lessons due to the time zone difference.However,attending the live sessions is extremely helpful as we can interact with the lecturer. To earn the Diploma, there is a final assignment at the end of the course and I think it is good in order to keep the recognition of the Diploma. Students can get a certificate after successful completion. There are weekly challenges after each session.This is really interesting and it is a good way to learn the things we learned in a practical way.Below is a screen capture from this week’s challenge and how students respond.You can simply check #shawmarketing in twitter for some updates. Overall I am satisfied with my learning experience with Shaw Academy and I am looking forward to complete the Diploma in Digital Marketing within the 6 weeks of time. Courses are interactive and there are live sessions. Each session only require 1 hour. Good for the CV as a professional qualification. Qualification is accredited by independent, internationally-recognized organizations. There may have difficulties to join with live sessions due to time zone difference. However, the recorded sessions are available after any live session. Time to time some courses are available for free when you join with such advertisement or link. That is a good way to earn your Diploma for free or for really lower cost than usual rate. If you are interested, below are some courses which you can follow either free or for a low rate which are helpful for bloggers and online marketers. Thanks for this informational post. I really need some blogging courses myself. I think it would help me a great deal. Sometimes I feel lost. The course I follow is really great and interactive.It is better than reading articles and trying to learn about online marketing.Hope you’ll join with a relevant course. Love this! I need to check this out! It is really great.Hope you’ll get the benefit of these courses. This looks like a great course! I could learn a lot from it! I like such an amazing opportunity! I really like it! Wow! This looks really cool. I’m trying to take at least one course a month, whether it’s free or a book or a real class. This is exactly the kind of course I’m looking for. Thanks for sharing your experience! Glad this post is helpful.Actually the course I follow is really interactive and helpful for me to improve my knowledge.After this course,I have a plan to follow another course. I had no idea classes like this existed. yes,It is always good to know the latest changes in the industry.I found the course I follow is interesting and interactive.